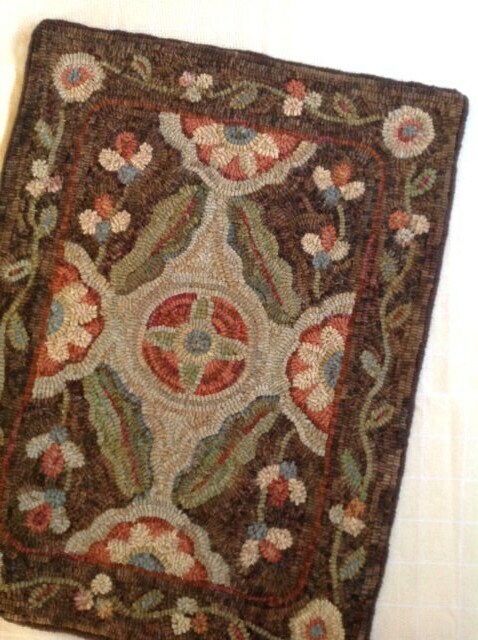 This listing is for the rug hooking pattern "Garden Retreat" on your choice of either cotton monks cloth or primitive linen. This is for the PATTERN ONLY, not the finished rug. A 4" x 6" color photo is included. The design is 20" x 28" and is hand drawn on the backing fabric with at least 4 inch borders. Care has been taken to draw all straight lines on the grain line so that your rug will finish square. 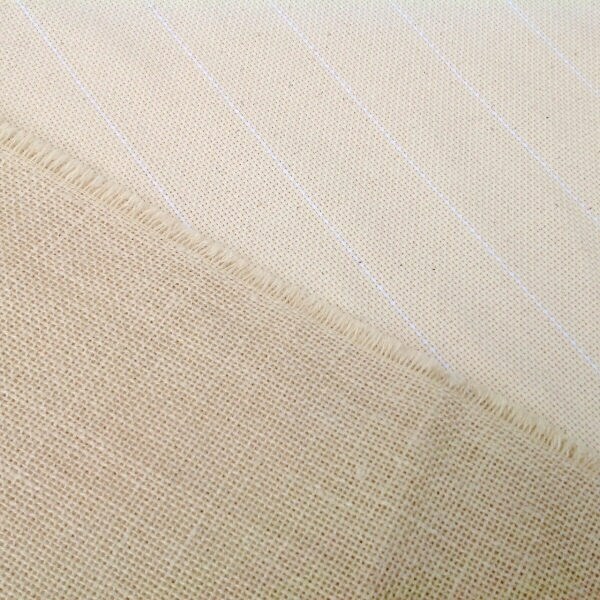 The outer raw edge of the backing fabric have been serged to prevent raveling while hooking. This design is so named because it reminds me of an aerial view of a formal garden. 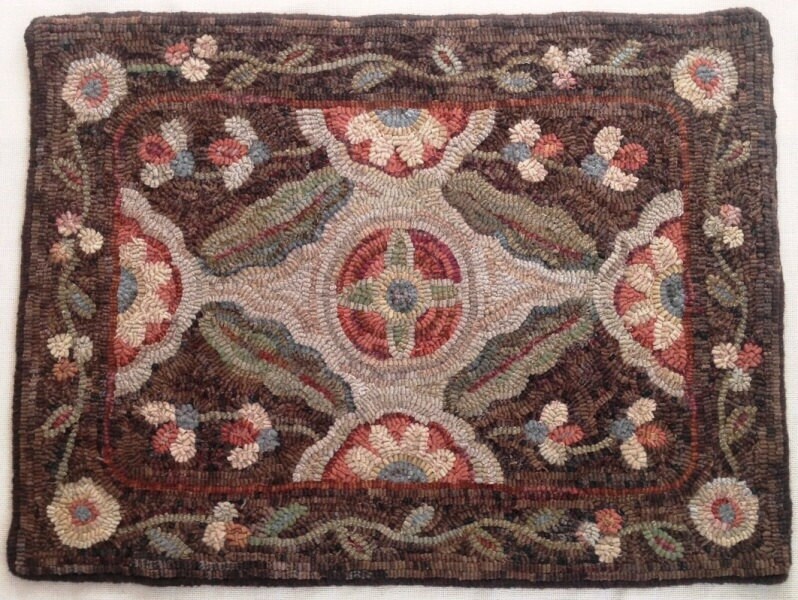 My adaptation from old floral rugs has a meandering path of many different neutral patterns and textures, some over dyed and some mill dyed wools. I hooked this design using a #8 cut (1/4" wide strips). The background is four different hand dyed muddy browns and I chose soft reds, greens, blues and neutral textures to hook the rest of the design. © Mary Johnson. All patterns at Designs In Wool are copyrighted by Mary Johnson, the designer. Your purchase of this pattern gives you rights to use this pattern yourself or give as a gift, one time . You cannot make new copies, redraw, reproduce in any manner on your own or give this design to others. Thank you for supporting my small business by keeping copyright laws. Quick ship, great pattern! Thanks. Shipping quick. Can't wait to hook this beautiful pattern. Thank you!